Kids will skip count by fives in this hidden animal dot-to-dot. 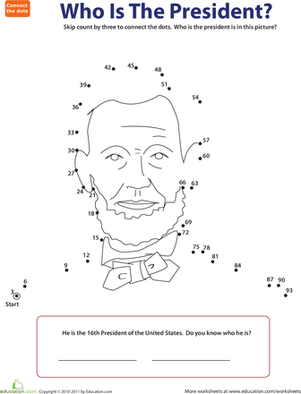 This connect the dots worksheet contains a picture of a hidden whiskered beaver. Kids will get great practice with skip counting, a great pre-multiplication exercise that prepares students for memorizing times tables. Have your child count by fives to connect the dots in this worksheet, then color in the smiling beaver. Skip, skip, skip counting made fun! With this lesson that uses dot-to-dot worksheets and singing, students will be eager to participate in learning to skip count by fives and tens.